On Tuesday night, the annual NBA Summer League came to a close with the Portland Trailblazers blowing out the Los Angele Lakers at the Thomas and Mack Center in Las Vegas, getting revenge for last year’s final that was played between the same teams with the opposite result. Tuesday’s championship game in Vegas capped a 16-day, 94-game stretch between the California Classic in Sacramento, the Utah Jazz Summer League and the 30-team Las Vegas Summer League. Two former Huskers took part in this year’s summer league and their experiences and performances were quite different. Shavon Shields, who graduated from Nebraska in 2016, played with the New Orleans Pelicans in Las Vegas this year. Shields, who racked up 1,630 points as a Husker, had a very successful first two professional seasons overseas with the Fraport Skyliners and Dolomiti Energia Trento. Last season, in 54 games with 49 starts between the Eurocup and Lega A, Shields averaged 13.7 points, 3.6 rebounds and 2.5 assists in 27.8 minutes per game. David Pick reported in mid-June that Shields had opted out of his deal with Trento and would be seeking a more lucrative contract, most likely somewhere in the EuroLeague, the second-best league in the world. Shields started the first three games for New Orleans in Vegas, playing almost 27 minutes per game. He very much looked the part in that setting, totaling 30 points on 10-of-16 from the field (3-of-5 from deep) and 7-of-9 from the free-throw line with 15 boards, 10 assists and four steals. In his 80 minutes of action, he was plus-11. New Orleans went 2-1 in those games, knocking off Toronto 90-77 and Miami 110-84 before losing to Detroit 105-97. Shields was efficient offensively, knocking down open jumpers when the ball found him on the perimeter, getting to the rim and drawing some contact and covering some tough buckets inside. He did a little of everything as well, contributing in multiple ways. Small sample size warning here, but if you stretch his numbers out to per-36 averages, Shields put up 13.5 points, 6.8 rebounds, 4.5 assists and 1.8 steals, which are solid numbers for a complementary starting wing. His biggest issue was turnovers as he coughed up the ball eight times in 80 minutes. On July 8, Shields signed a deal with EuroLeague club Baskonia, and he sat out the rest of the games in Vegas (losses to Miami and New York). 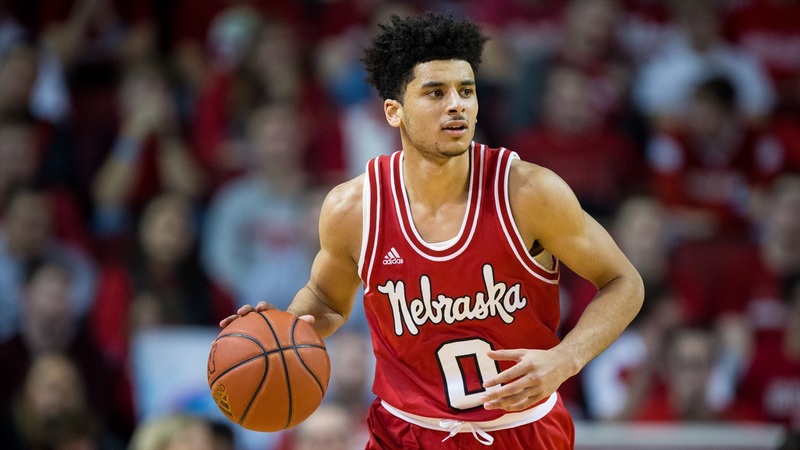 The other Husker who participated was Tai Webster, who graduated in 2017 and spent last season with Shields’ old club, the Fraport Skyliners. Webster played in 38 games with 32 starts, averaging 14.9 points, 3.9 assists and 3.7 rebounds while shooting 48 percent from the field and 39.8 percent from 3 while playing 28.5 minutes per game. Webster played with the Miami Heat in both the California Classic and the Las Vegas Summer League, giving him a couple extra opportunities to see the floor. However, Webster didn’t rally take advantage of those opportunities. Webster logged a DNP-CD in Miami’s first game, a loss to Golden State. He got his most extensive playing time of the event in game two, an 89-74 win against the Los Angeles Lakers, logging 21:30. Webster struggled mightily, however, shooting 1-of-12 from the field including 1-of-5 from 3. He grabbed two boards and dished out four assists with three turnovers and was minus-11 (tough to do in a 15-point win). Webster played less than five minutes in the last game of the California Classic, an 86-76 win over the host Kings of Sacramento. He missed his only shot and recorded a steal. In the five games of the Vegas Summer League, Webster logged 17, 0, 10, 14 and 13 minutes, scoring 12 points on 4-of-10 shooting. In total, Webster recorded 15 points on 5-of-23 shooting (3-of-10 from 3) and 2-of-2 from the line with nine assists, seven rebounds, six turnovers and five steals in 80 minutes. Per-36, that translates to 6.8 points, 4.1 assists, 3.2 rebounds, 2.7 turnovers and 2.3 steals. Webster came off the bench as a combo-guard, splitting his time between running the point and playing off the ball, and he just never looked natural trying to create for himself or others. Webster had some good moments of defense and hustle, but not enough to overcome his offensive struggles. He never made more than a single shot in a game and his scoring-high was five. The next step for Webster is to head back overseas, whether that be for another year with the Skyliners or if another club will scoop him up. Next year’s Summer League could be of even more interest for Huskers fans. Seniors James Palmer Jr. and Isaac Copeland are likely candidates for Summer League roster spots, and if junior Isaiah Roby has the kind of season many think he is capable of he could find himself in the 2019 NBA Draft.